Brief Description: Hampton Roads is constantly changing! Are you? How do you engage diverse communities? This presentation will focus on diversity and inclusion around philanthropy. 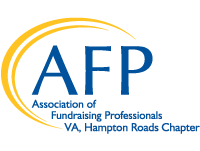 Attendees will learn more about engaging and building relationships with a diverse Hampton Roads community. We will discuss the development of long-term outreach strategies for fundraising and looking beyond the money.